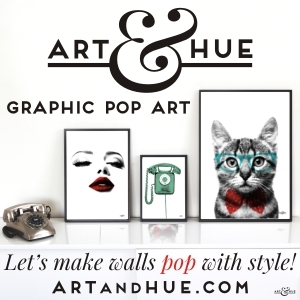 Since I was introduced to Kickstarter by Art & Hue, I’ve discovered a whole new world of art and design projects that have been crowdfunded by the site. 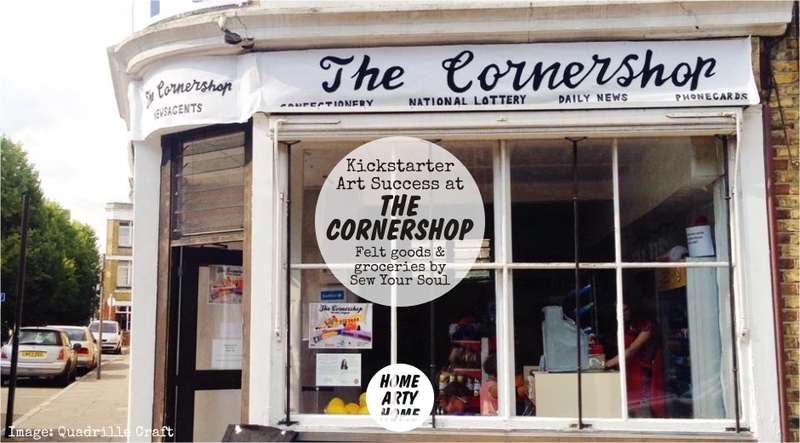 It’s great to see the public getting behind artistic projects, from the bike print of Wyatt 9 that was featured last week (and successfully reached their funding target last Friday) to the amazing hand-crafted installation by Lucy Sparrow of Sew Your Soul. 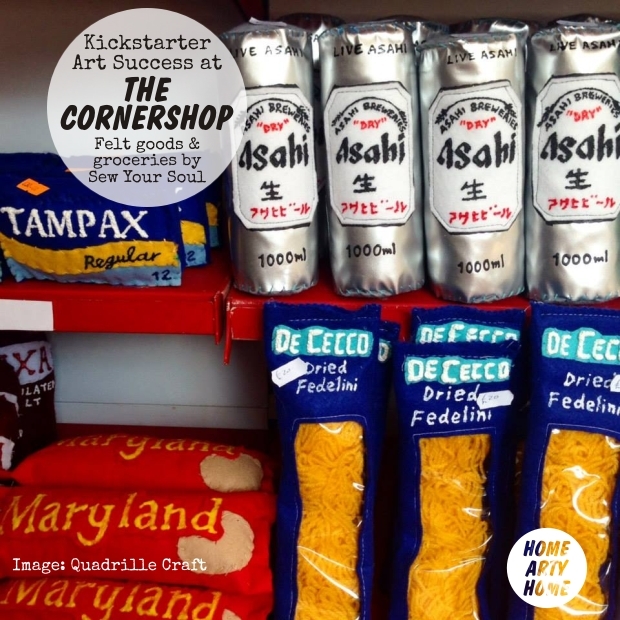 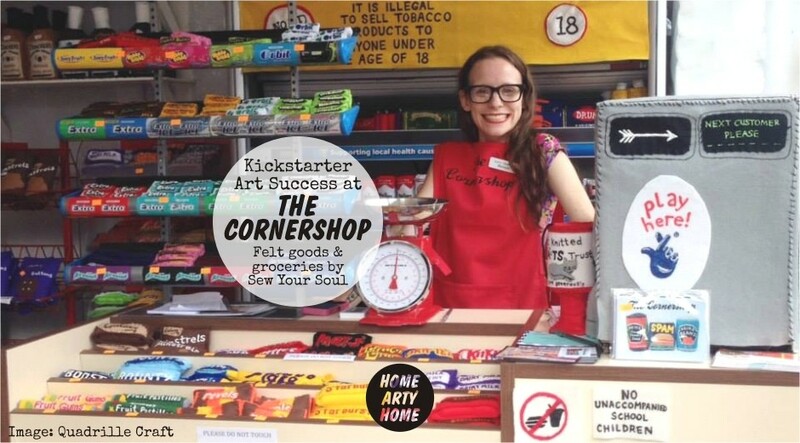 The Cornershop exceeded its crowdfunding expectations in February of this year when it surpassed the £2,000 the project asked for and finally reached over £10,000; no surprise really when Lucy’s work has been exhibited alongside notable street artists, including Banksy, as well as having solo shows dedicated to her art. 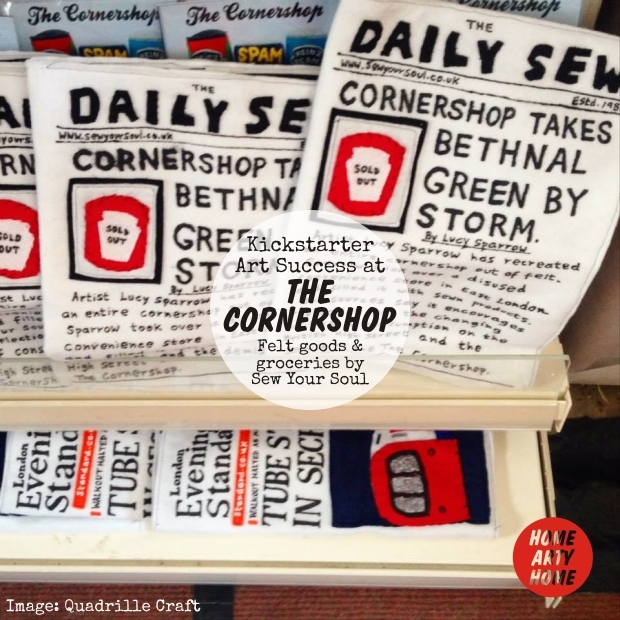 It’s too late to get behind the Kickstarter with funding but you can still get a piece of the action as the project is currently up and running until the end of August in Bethnal Green before it relocates to Brighton in October. 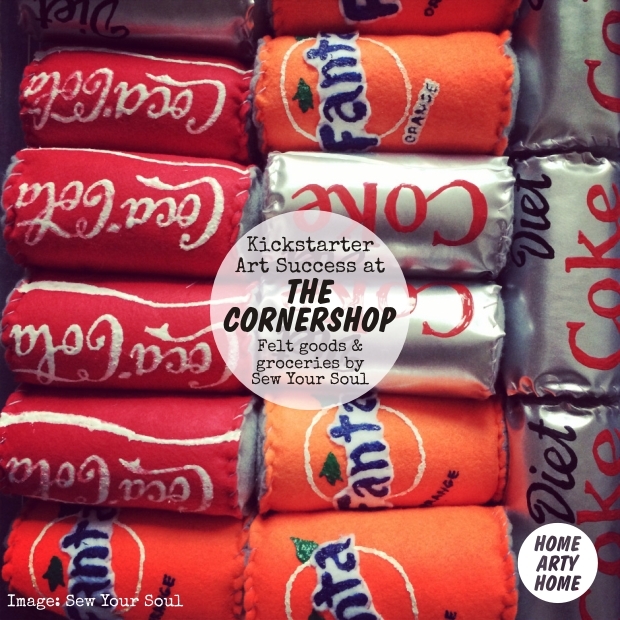 The Cornershop is an amazing art installation which replicates the typical corner shop except the entire contents are handcrafted from felt. 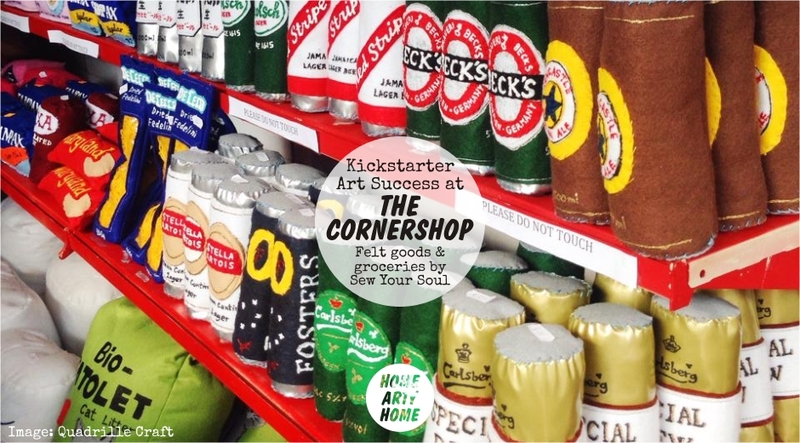 Everything, from packets of crisps and cigarettes to bleach and pasta, are handmade by Sew Your Soul and available to buy. 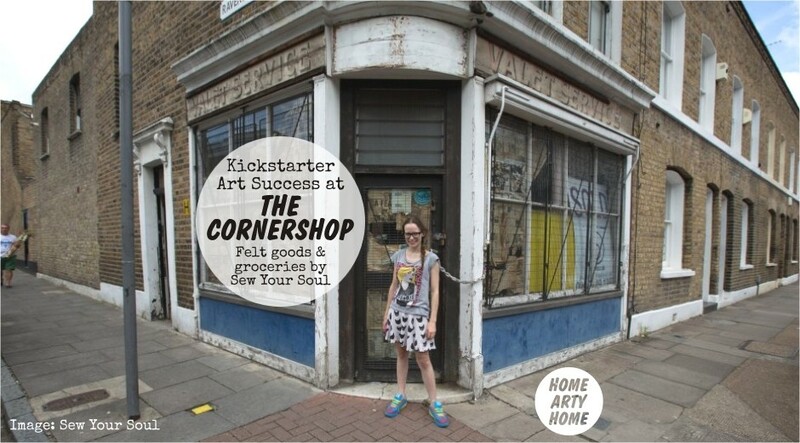 Lucy has taken a previously derelict store and spent seven months creating the “stock” to transform it into a felted space. 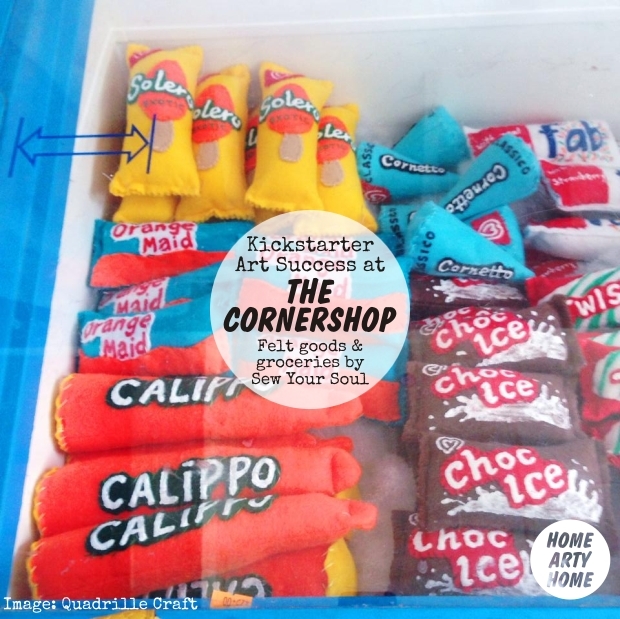 It’s a wonderfully whimsical project with a serious intent to bring attention to the demise of the typical high street and our relationship with consumerism. 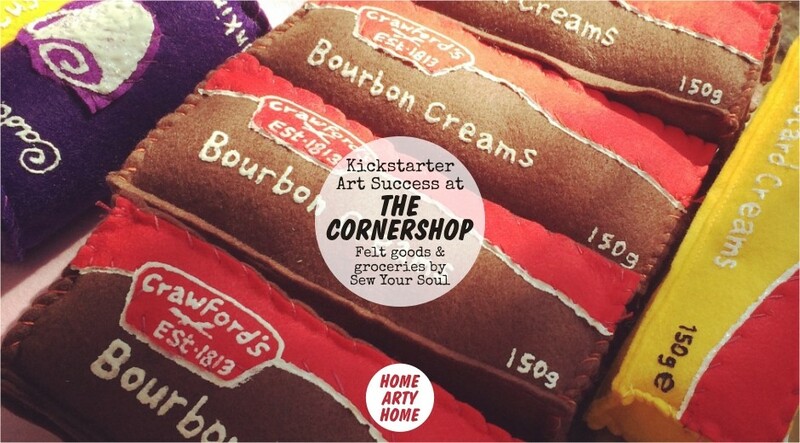 If you’re in the London area, visitors are welcome to visit the store to take pictures and make a purchase of the goods on display, as well as take part in workshops to learn how to make your very own felt crisp packets. 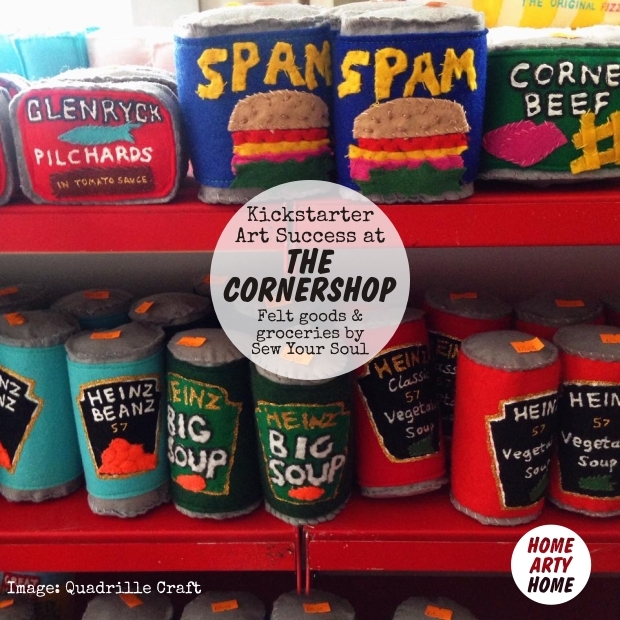 The hand-stitched ketchup bottles and soup cans give the installation a strong pop art flavour that Home Arty Home thoroughly admires and you can visit The Cornershop at 19 Wellington Row in London E2 before the 31st August to see it in person. 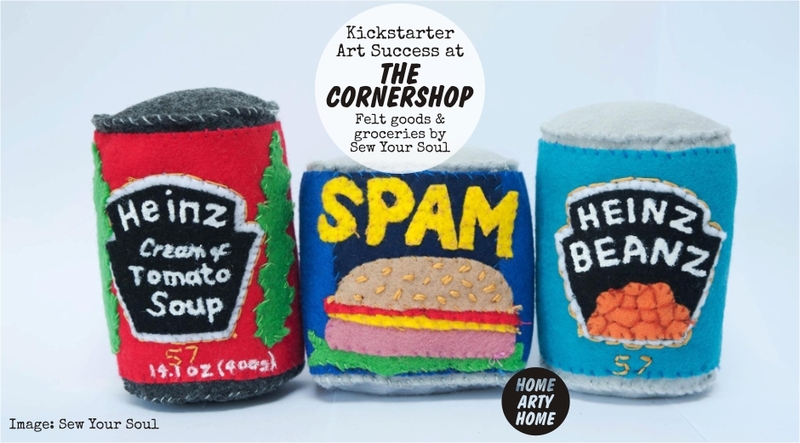 If you can’t make it to London before then, you’ll be able to experience it in October when it hits the South Coast at the No Walls gallery in Brighton or, if you can’t make it to either location, you can order felted goods and groceries online here.